Stereo. Dance Single. ℗ 1980, T.K. Productions, Inc. Manufactured by CBS Records Canada Ltd. Published by Sherlyn Pub. Co., Inc. (BMI)/Lindseyanne Music Co., Inc. (BMI)/Buckaroo Music Pub. Co., Inc. (BMI). 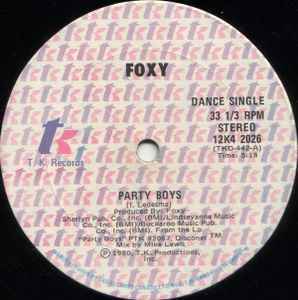 From the LP "Party Boys" PTK 92067.